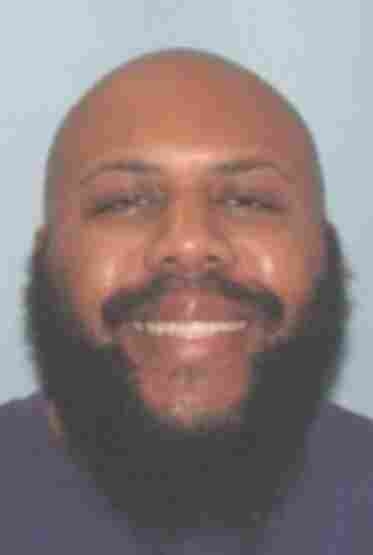 Facebook Murder Suspect Has 'Shot And Killed Himself,' Police Say : The Two-Way Authorities were looking for Steve Stephens, 37, in connection with the killing of 74-year-old Robert Godwin Sr. on Sunday. Stephens was spotted Tuesday morning by Pennsylvania State Police. Cleveland Police Chief Calvin Williams answers questions during a news conference on Tuesday. A nationwide manhunt for a suspect who allegedly shot an elderly man dead in Cleveland and then uploaded it to Facebook has ended with the man shooting and killing himself in Pennsylvania's Erie County. "Steve Stephens was spotted this morning by [Pennsylvania State Police] members in Erie County," the state police said on its Twitter account. "After a brief pursuit, Stephens shot and killed himself." Chief Williams: This is now a national search for Steve. We will leave no stone unturned. Authorities had been offering up to $50,000 for information leading to the arrest of the 37-year-old Stephens, who was wanted over the apparently random killing of 74-year-old Robert Godwin Sr. Local, state and federal authorities were involved in the hunt for Stephens, who was said to be driving a white Ford Fusion with a temporary tag. Cleveland Police Chief Calvin Williams said the state police got a tip that the vehicle was in a McDonald's parking lot. Stephens fled when officers arrived and gave chase. Shortly afterward, he took his own life. "We are grateful that this has ended," Williams told reporters Tuesday. "We would like to have brought Steve in peacefully, and really talked to him and find out exactly why this happened. Because there might be other people out there in similar situations that we can help by finding out why he did what he did and what drove him to this." He said authorities will continue the investigation, which remains in the early stages. 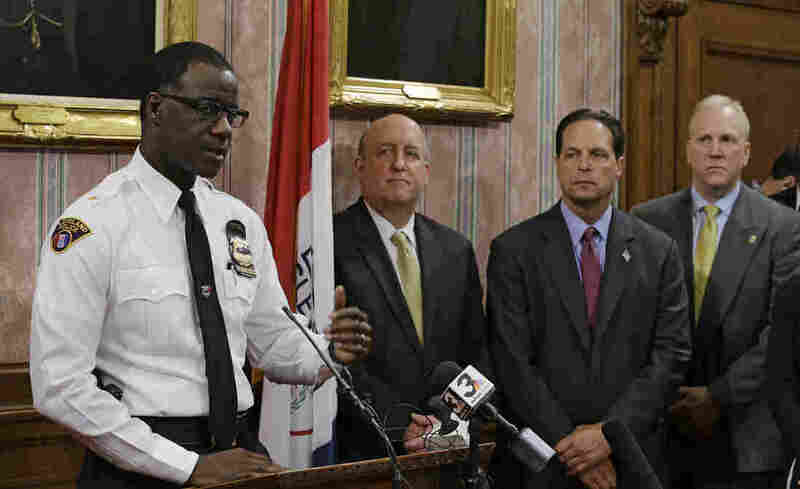 During the manhunt, Stephen D. Anthony, special agent in charge of the FBI in Cleveland, said, "There's not a federal agency in the United States that is not involved in some way." Authorities received more than 400 tips from the public related to Stephens. Facebook says the suspect allegedly uploaded a video at 11:09 a.m. local time on Sunday declaring his intent to commit murder. A video uploaded two minutes later appears to show him gunning down Godwin. Eleven minutes after that, according to the social media site, he broadcast a live video of himself confessing to the murder. In a timeline of the events, Facebook says the video of the shooting was visible to the public for more than two hours and was taken down 23 minutes after it was first reported. "As a result of this terrible series of events, we are reviewing our reporting flows to be sure people can report videos and other material that violates our standards as easily and quickly as possible," Facebook's vice president of global operations, Justin Osofsky, said in a statement Monday evening. Facebook CEO Mark Zuckerberg said Tuesday that "our hearts go out to the family and friends of Robert Godwin Sr., and we have a lot of work and we will keep doing all we can to prevent tragedies like this from happening." Regarding the chilling video, Williams said Tuesday, "This is something that should not have been shared around the world. Period. ... We can't do this in this country." As The Two-Way reported, police said that Stephens "claimed to have committed multiple other homicides, which are still not verified." Authorities said Tuesday that they have not found any additional victims. The Associated Press reported that Stephens' life "appeared to be unraveling under the weight of gambling debts and trouble with his girlfriend." He worked as a "vocational specialist involved in preparing youth and young adults ages 16-25 for employment," according to the wire service.